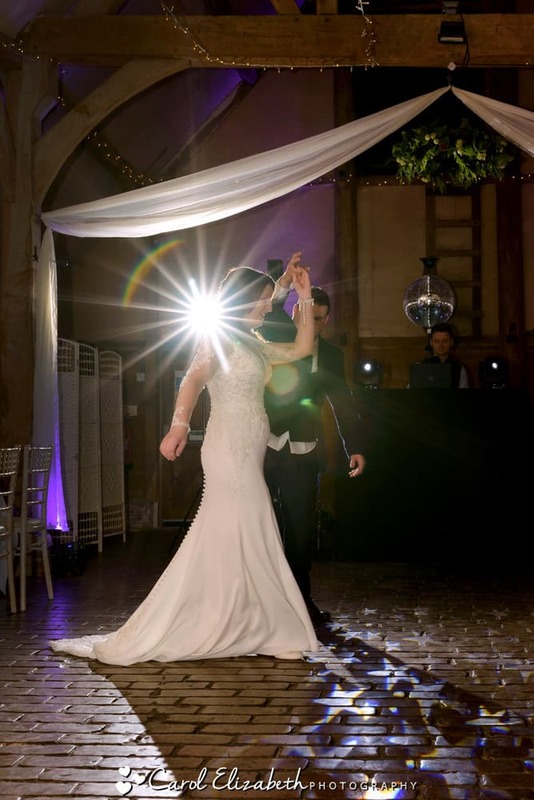 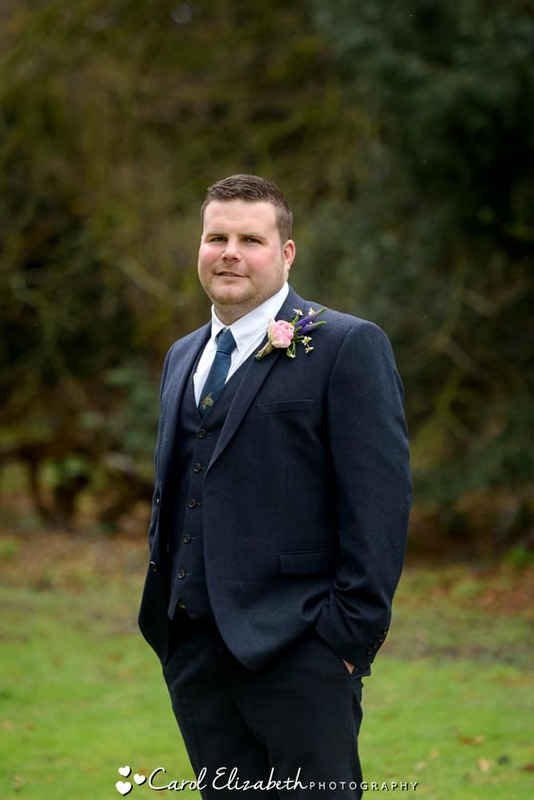 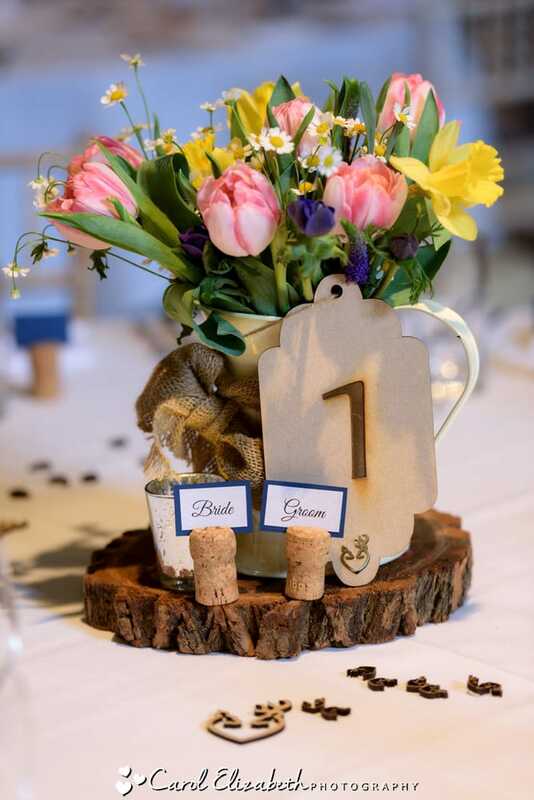 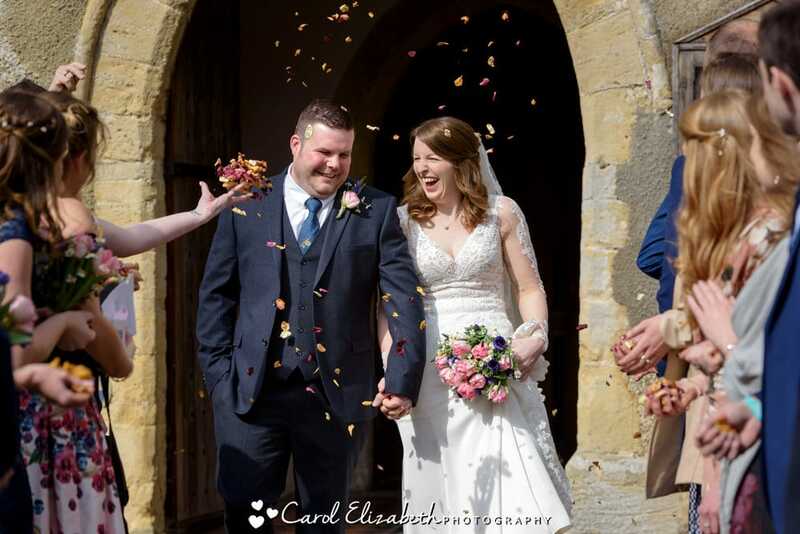 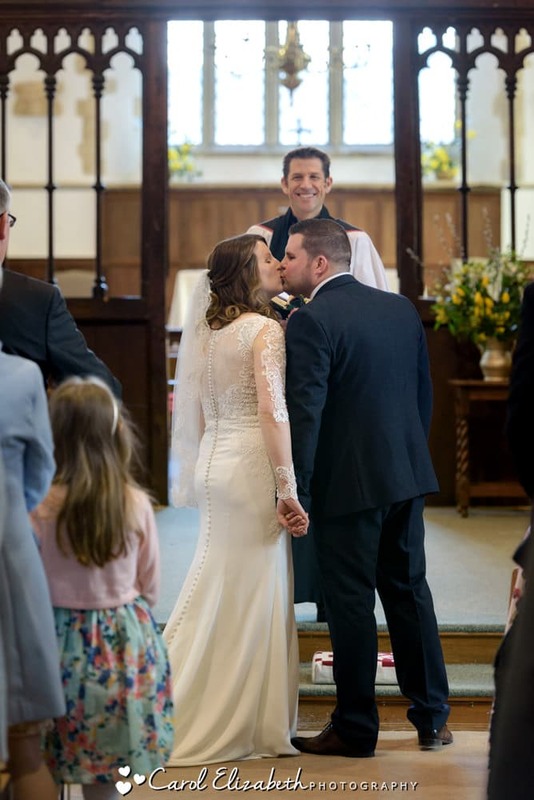 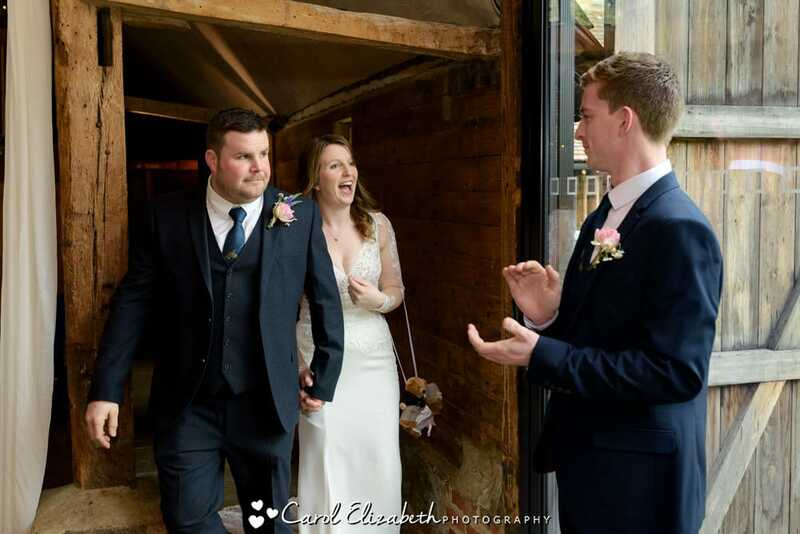 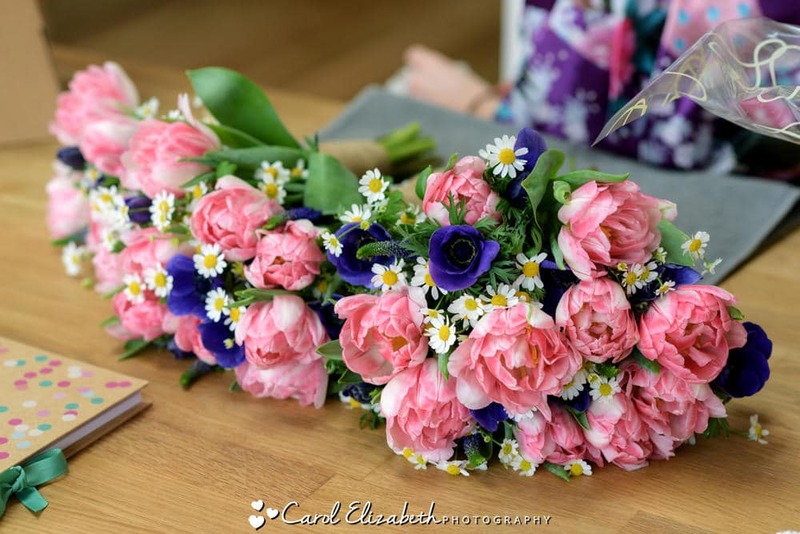 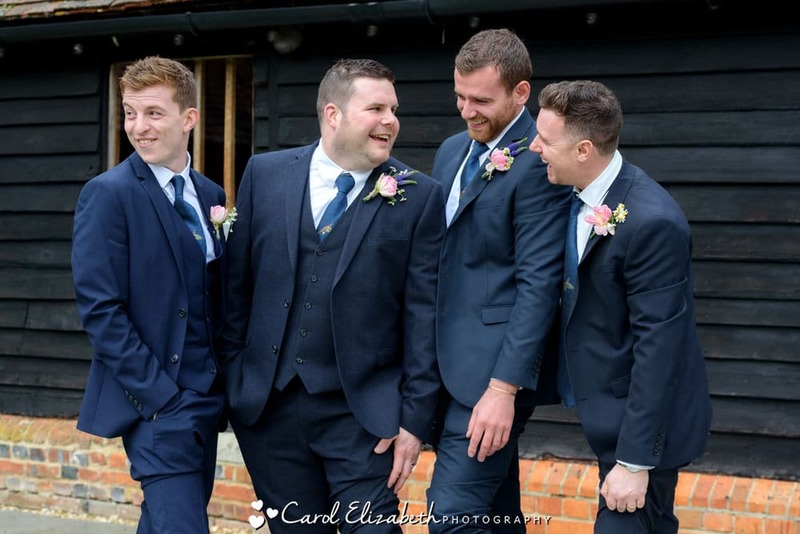 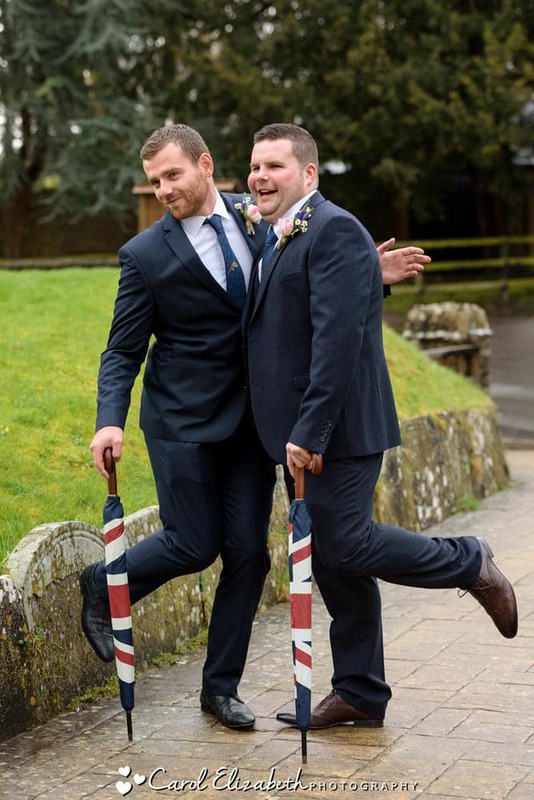 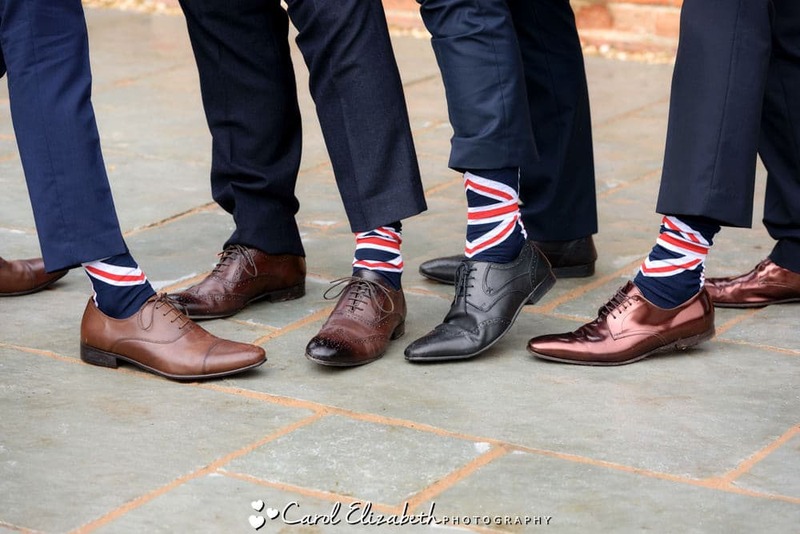 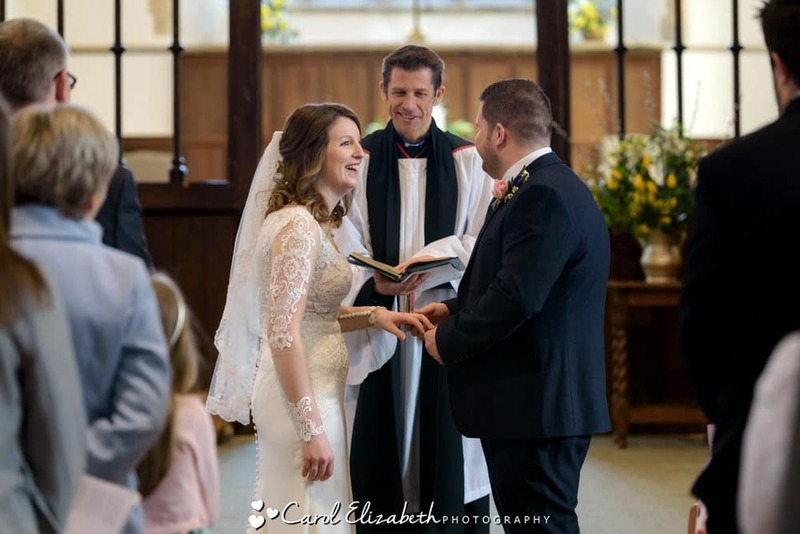 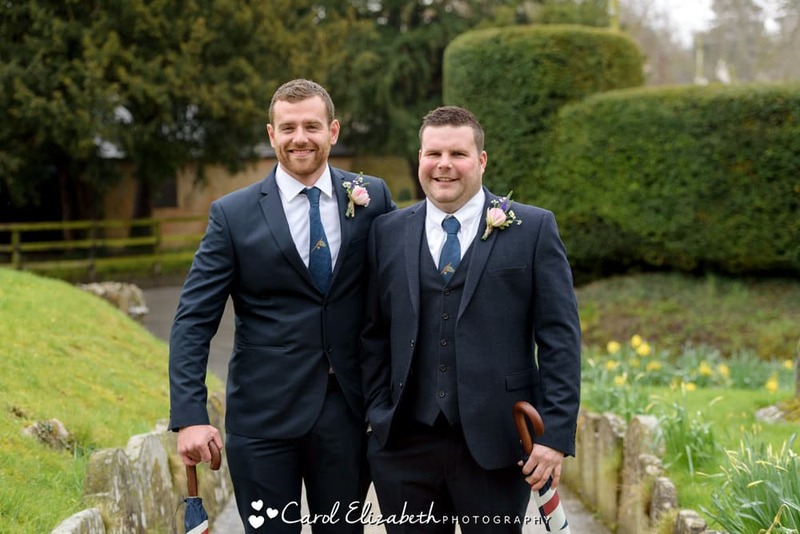 Hannah and Rob planned their perfect spring wedding, and I was delighted to capture their wedding photography at Lains Barn as well as their wedding ceremony at Harwell Church. 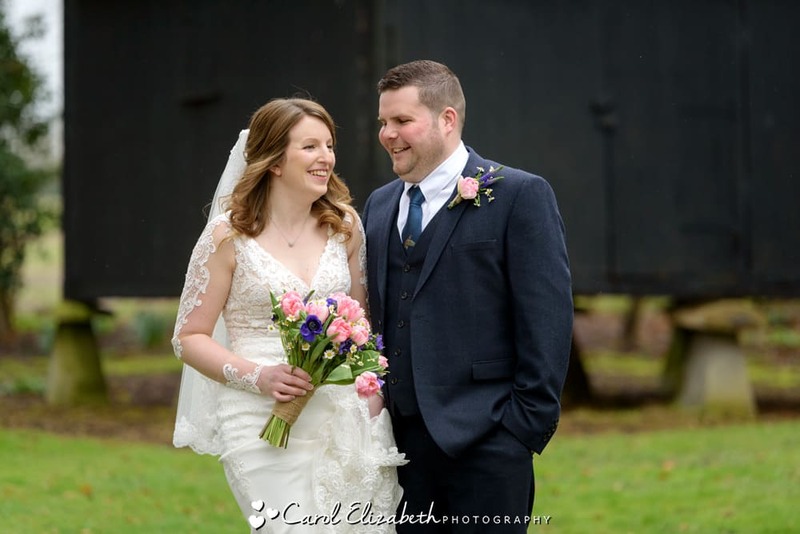 I had met the lovely couple a few weeks previously for their pre-wedding shoot, so on the day it was really lovely to see them both again. 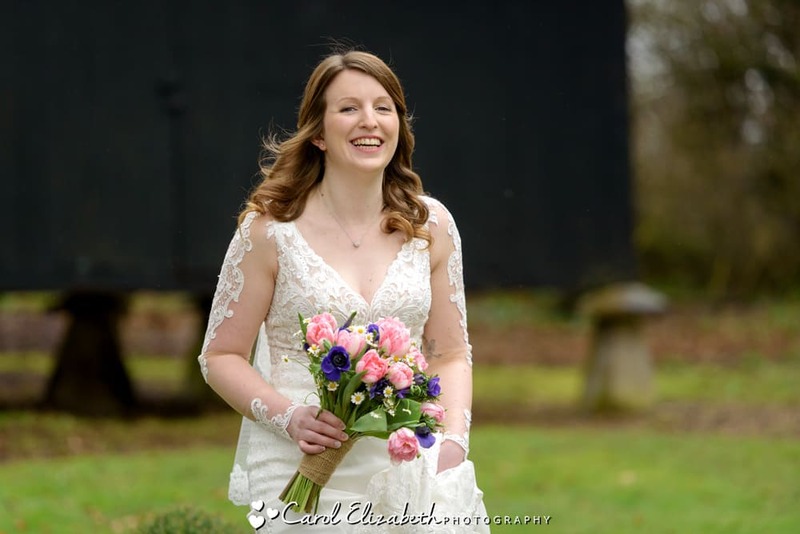 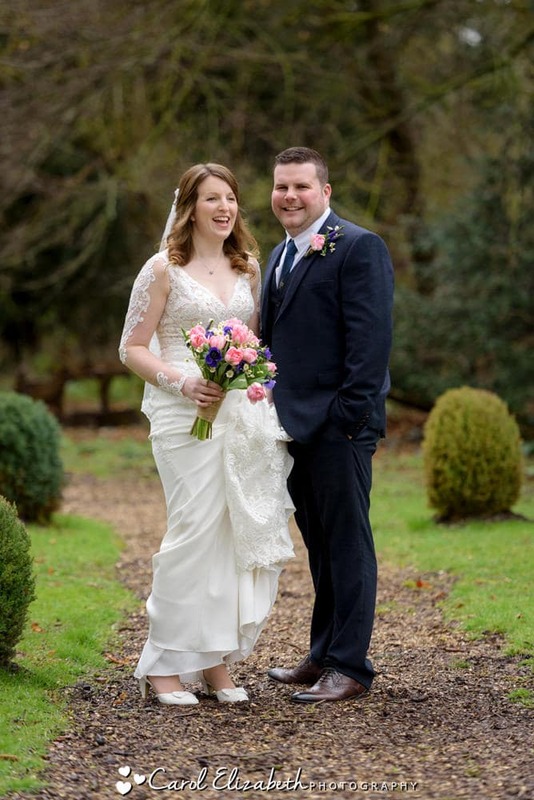 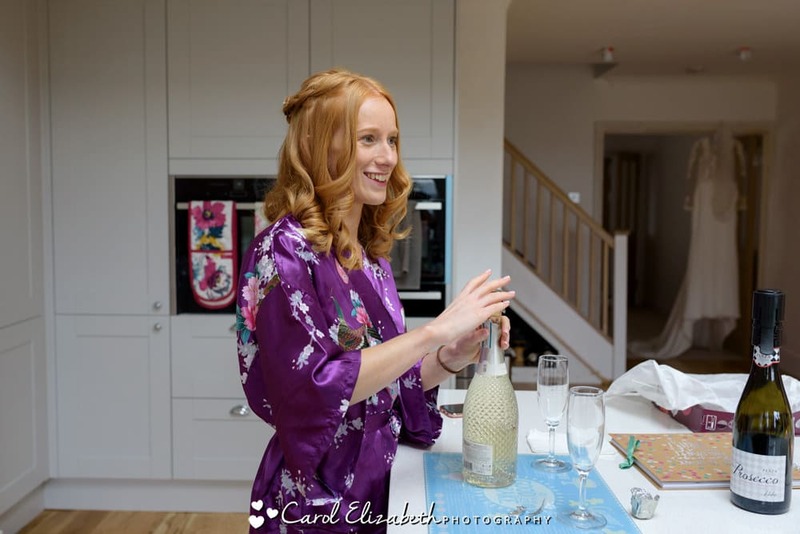 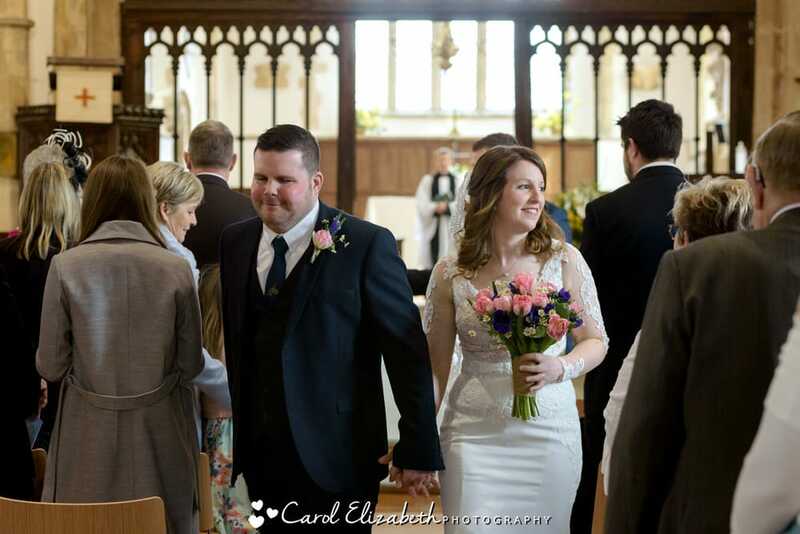 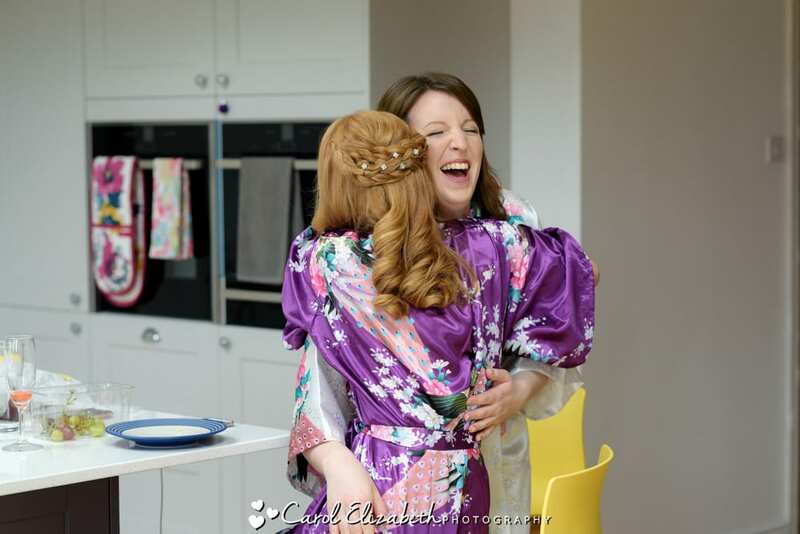 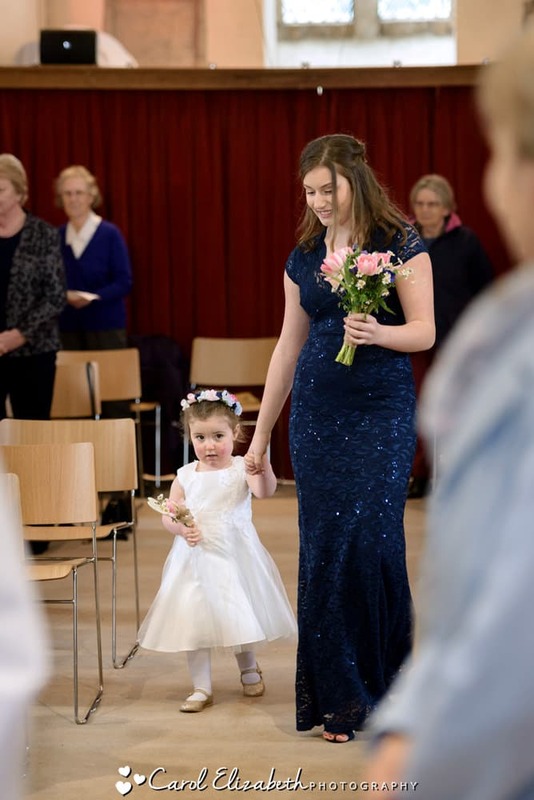 Hannah looked absolutely stunning in her lace dress from Bride to Be in Reading. 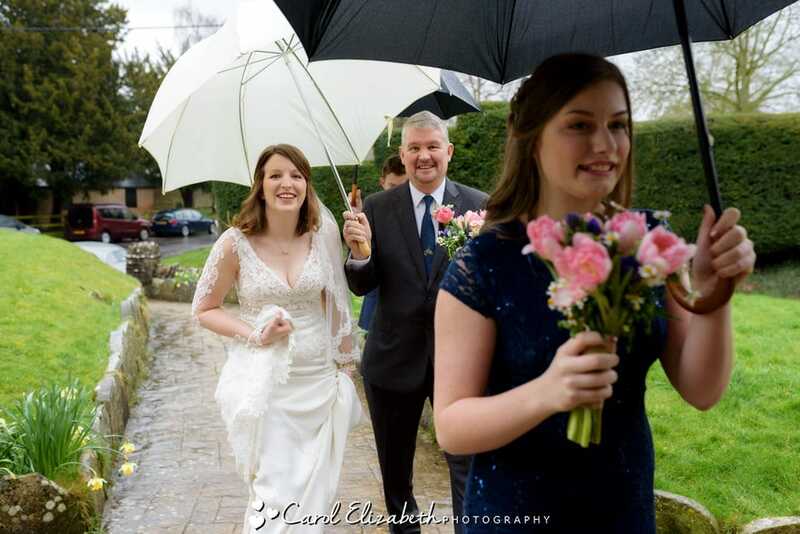 It was a bit rainy so Hannah and the bridesmaids made a quick dash to the church for the start of the ceremony. 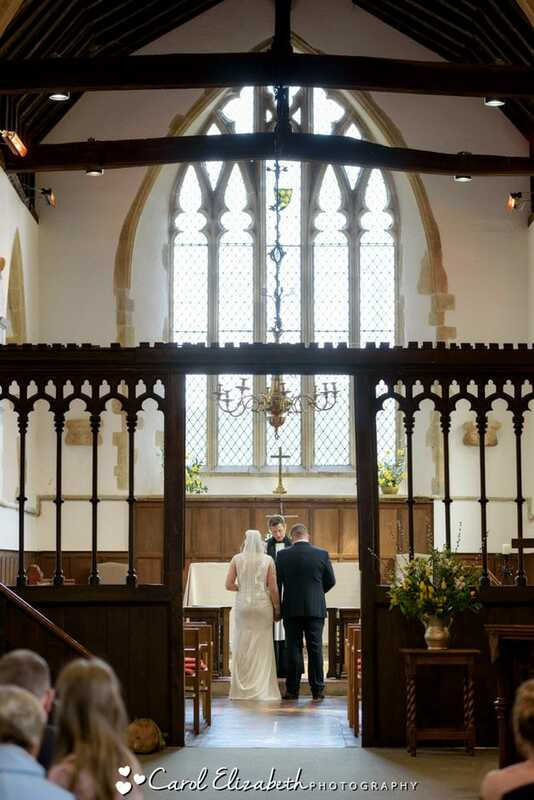 Harwell Church is a wonderful building with plenty of natural light, and the ceremony was both emotional and romantic! 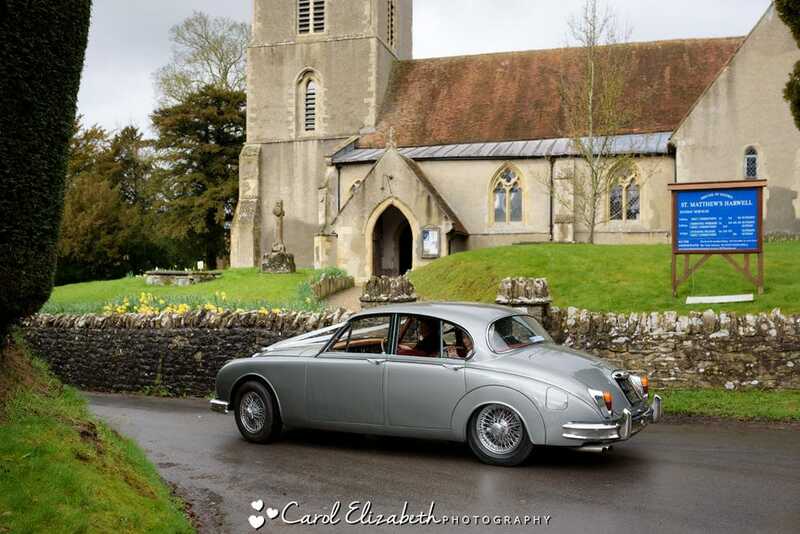 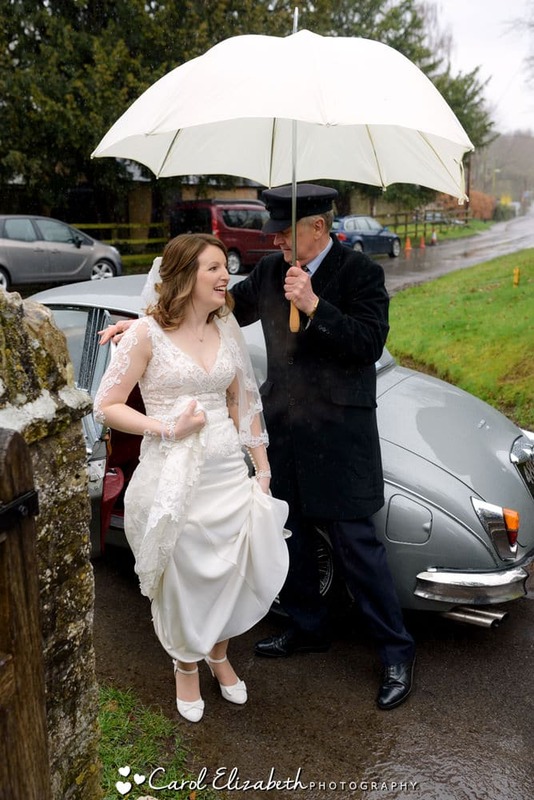 I was delighted to see lovely sunshine for the bride leaving the church, and the guests showered them with confetti before they headed off in the Jag to the reception. 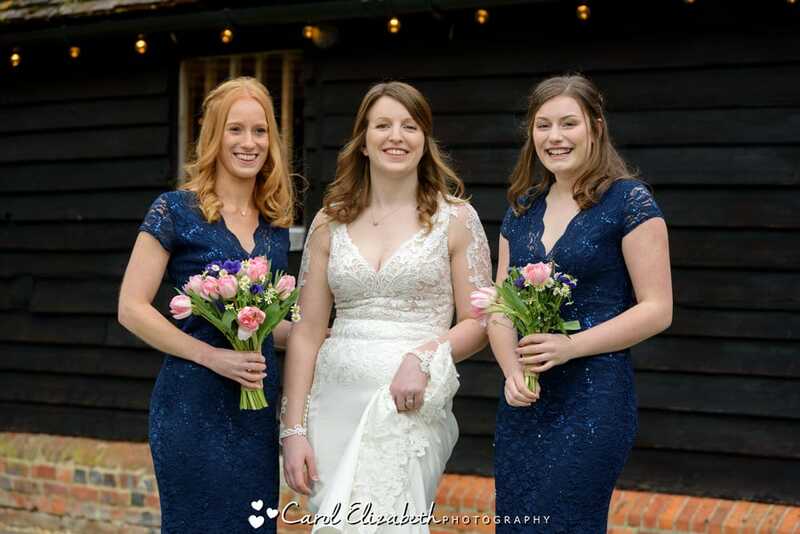 When we arrive at the fabulous Lains Barn wedding reception we had a few moments for photos in the grounds before heading indoors to warm up! 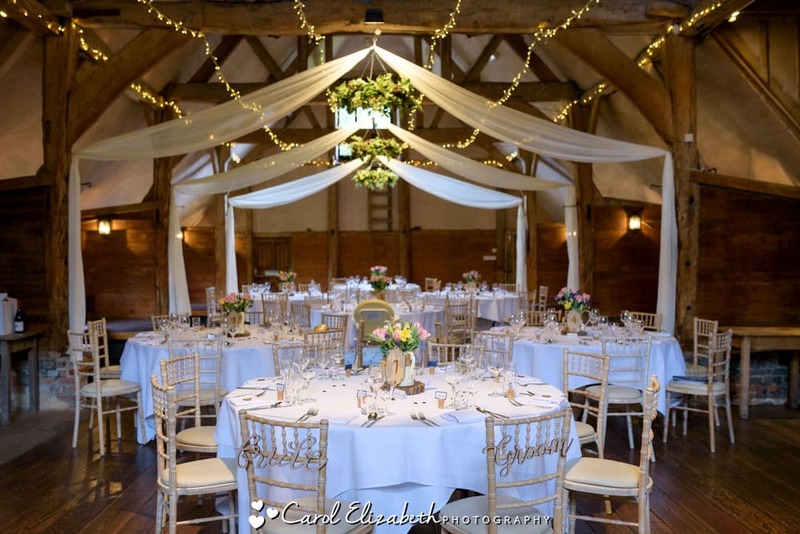 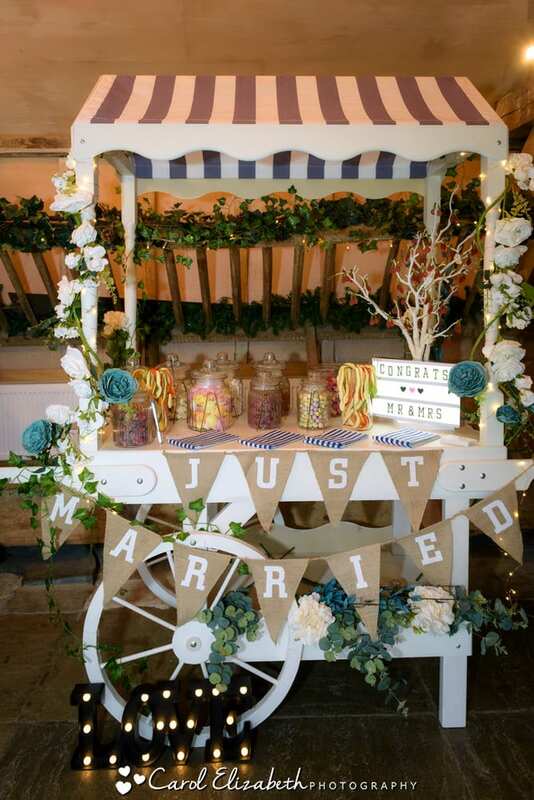 The barn looked wonderful, with plenty of decorations to add a unique touch. 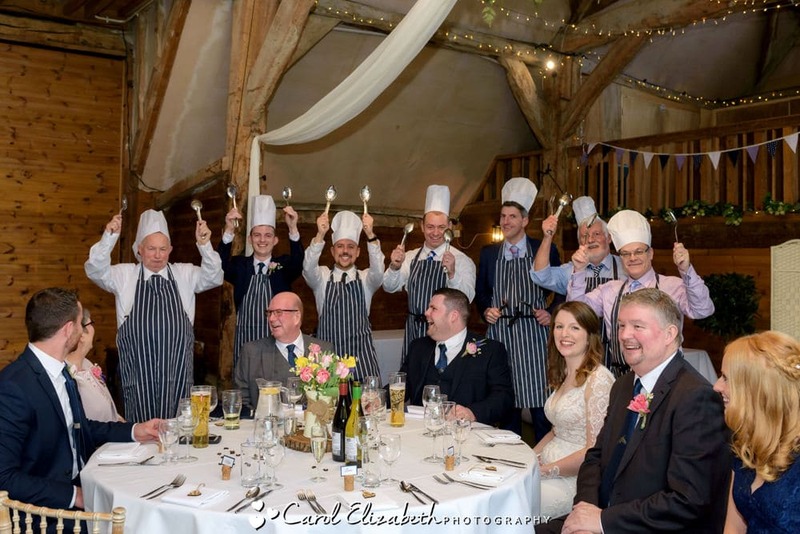 After a few group photos and plenty of time for the guests to chat in the bar area, it was time for the Piemaster meal. 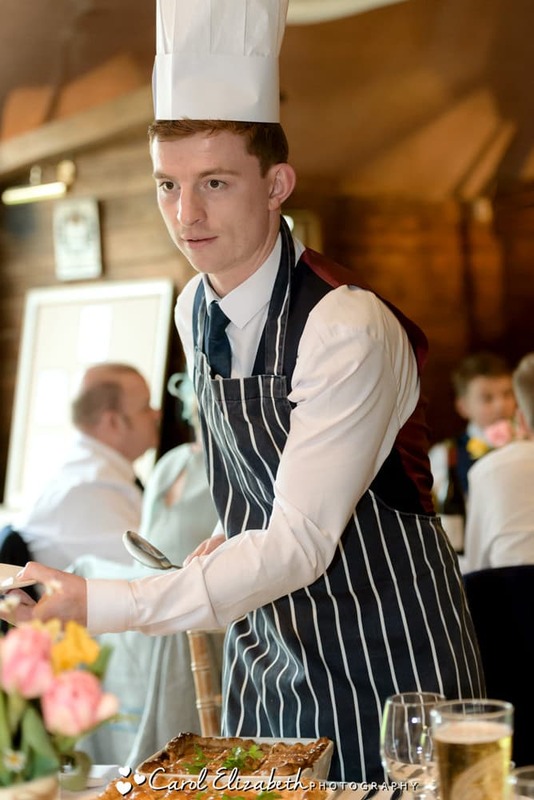 This is always so much fun, with the chefs supplying pies to each table for a nominated guest to serve. 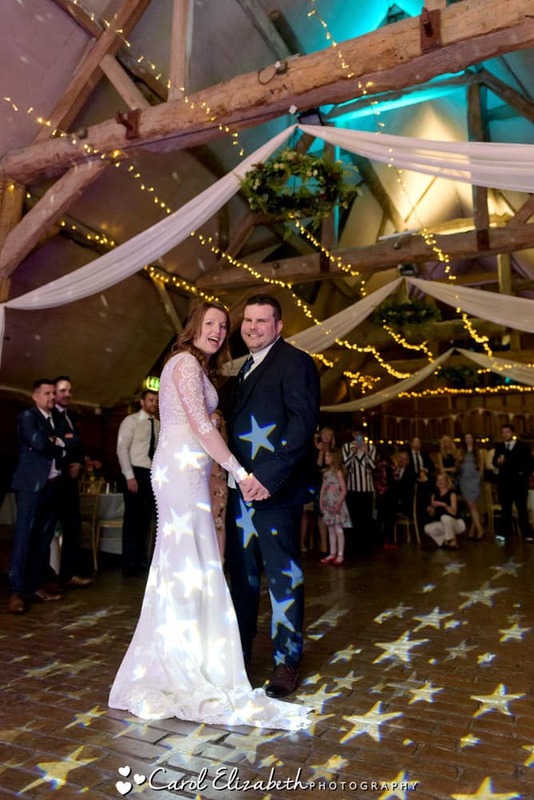 After speeches it was time for dancing, with the music and lights adding to the romance and atmosphere. 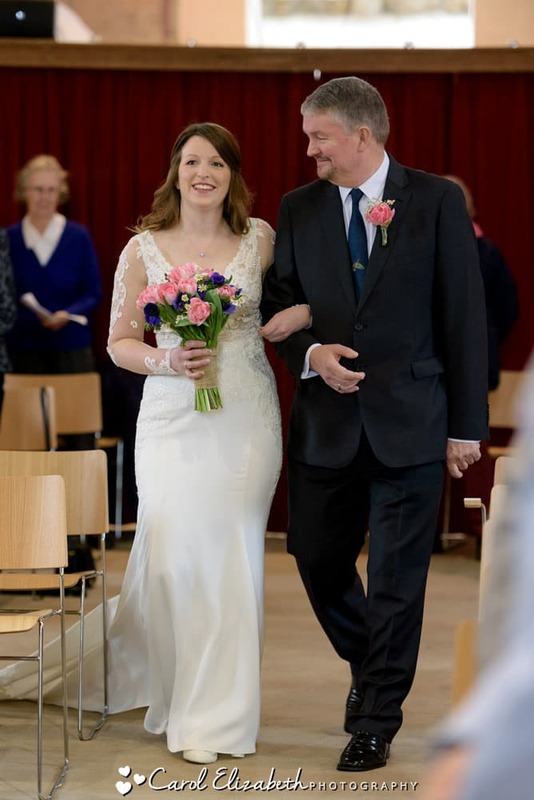 Congratulations to a really lovely couple, and wishing you a lifetime of hapiness!